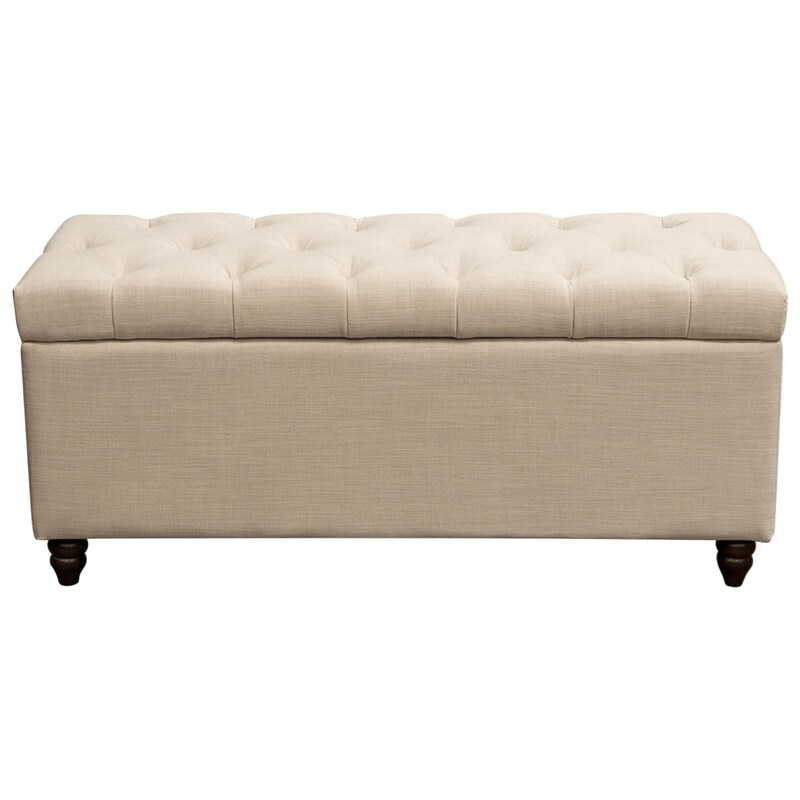 This tufted storage trunk offers a chic addition to your living space. This complimentary piece will allow your space to stay organized and stylish at the same time. Made with a sturdy hardwood construction, covered and tufted in a fabric with dual tension hinge on the lift-top. Use in any room for any purpose, a great way to provide additional seating or storage. The interior dimensions are 44” W x 14” D x 13” H .
The Chesterfield Trunk by Diamond Sofa at Red Knot in the Oahu, Honolulu, Kapolei, Pearlridge, Salt Lake, Hawaii area. Product availability may vary. Contact us for the most current availability on this product.